In addition to the many beneficial drugs that are available for the treatment of COPD, there are several effective non-drug treatments available. Chief among them are smoking cessation for continuing cigarette smokers; pulmonary rehabilitation, which focuses on exercise endurance to improve dyspnea (difficult or labored breathing) and quality of life; and long-term oxygen therapy. Other treatments available are noninvasive positive pressure ventilation (NIV), lung volume reduction surgery, minimally invasive bronchoscopic valves that have been showing promise, and finally and relatively rare, lung transplantation. In a study co-authored by a group of researchers including PERF’s Richard Casaburi, Ph.D., M.D., and Janos Porszasz, Ph.D., M.D., and funded by the Patient-Centered Outcomes Research Institute (PCORI), it was found that patient involvement in the design of clinical trials improved the degree to which the needs and concerns of both patients and their caregivers were satisfied. In the study, patients with chronic obstructive pulmonary disease were involved in the design of a clinical trial to promote adherence to supplemental oxygen therapy. 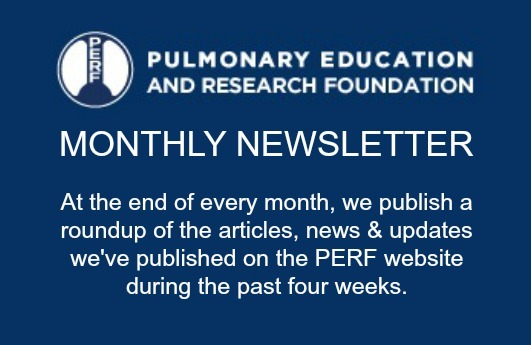 PERF’s Richard Casaburi, Ph.D., M.D., Janos Porszasz, Ph.D., M.D., and Harry B. Rossiter, Ph.D., contributed to a study published earlier this year in the European Respiratory Journal regarding the use of exercise testing in evaluating the efficacy of various treatments for COPD. In pulmonary arterial hypertension, peak oxygen uptake and the ratio of ventilation/carbon dioxide output are the variables most responsive to vasodilators (drugs that widen blood vessels).